A true turn-key home in the heart of the Melrose Common. 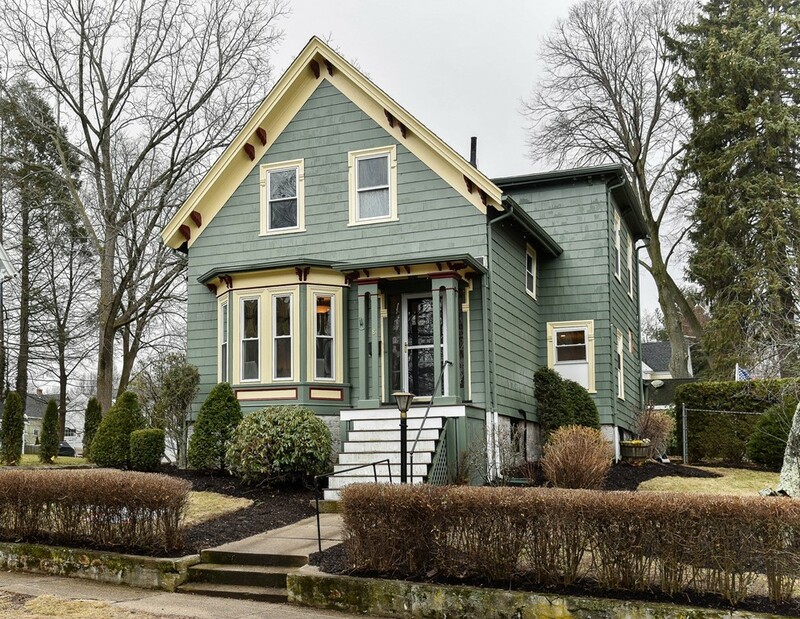 Careful and complete renovation has given this c1890 Colonial home new life! Living and Dining rooms have gracious full length bay windows, bathing the first floor in natural light. Brimming with improvements: new roof, new hardwood flooring, new central air, new baths and kitchen. Gleaming kitchen with quartz counters and magnificent center dining island completed by stainless appliances including a beverage fridge. Open floor plan blends dining room and kitchen, making this a great space for your next gathering. Close the french door leading to the multifunctional home office and finish your conference call in peace and quiet. Second floor features 3 bedrooms and renovated full bath. A short walk to the Common Park, elementary schools and all that downtown Melrose has to offer. Rarely is a home this thoughtfully renovated.